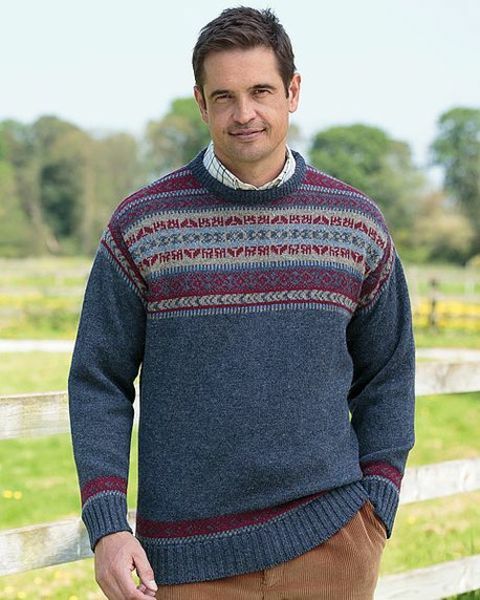 Mid Blue Crew Neck Fairisle Sweater in soft shetland wool. Just received my last order in good nick & promptly, as anticipated.Thankyou. "Just received my last order in good nick & promptly, as anticipate ..."